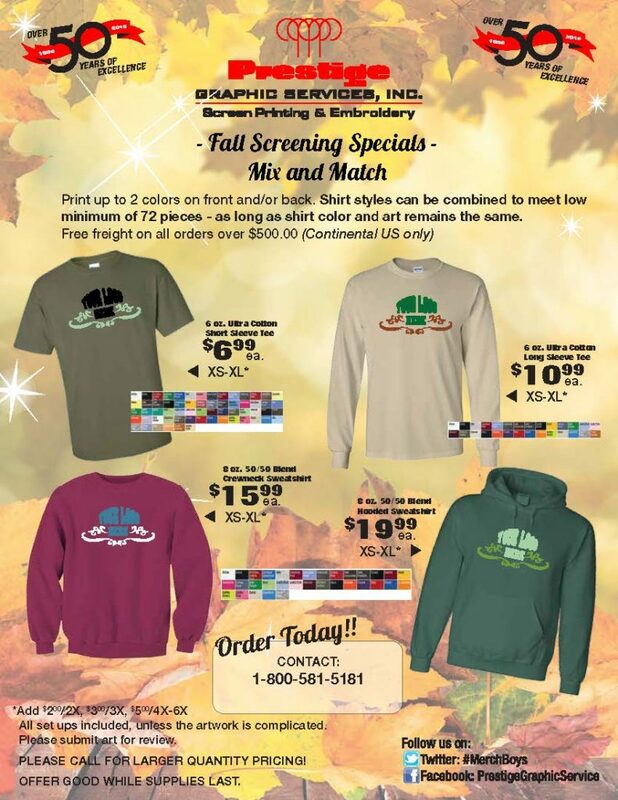 Get in on the 2017 fall screening specials from Prestige Graphic. Mix or match to meet our low minimum of 24 pieces. Prices include digitizing and embroidery of your logo in one location. All orders over $1000 receive free shipping. All set-ups included, unless the artwork is complicated. Please submit art for review. Colors can be combined to meet minimum, but artwork must remain the same. OFFER GOOD WHILE SUPPLIES LAST – PLACE YOUR ORDER TODAY! Copyright © 2019 · Prestige Graphic Services, Inc.